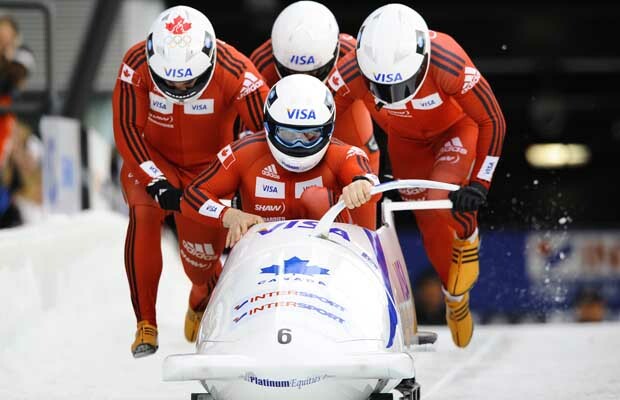 According to the Olympic rules, a 4 man bobsled team cannot weigh more than 630 kg (1,388.9 lbs). Add the weight of the sled and you’re talking about a ton of team here. Conclusion: Including the sled, a 4 man bobsled team weighs more than me (but they still move faster). This entry was posted in Uncategorized on February 14, 2010 by fatchicksings.